Groovy Grapes – These Two Eyes! Traveling through Adelaide Hills in South Australia with Groovy Grape Getaways on my way to the Barossa Valley I rested my head on the mini-bus window and gazed at the world going by. Rolling hills encompassed with varying shades of green on green; rows upon rows of vines. They seemed endless as we traveled further away from the city of Adelaide deeper into wine country. 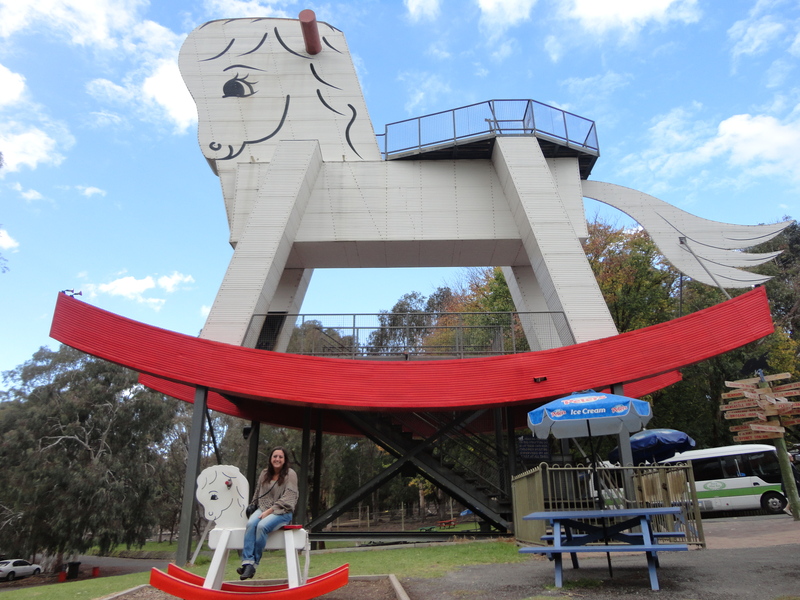 Our first stop was to The Big Rocking Horse and The Toy Factory, home of the largest rocking horse in the world. It was just a quick break to rev up on coffee and take a photo snap before moving on. For $2 you can climb it, could be a bucket list fulfillment for some, but I found warmth inside and watched an older gentleman through the glass windows of the workers factory assemble a child size rocking horse from freshly carved wood. Then it was time to move on. 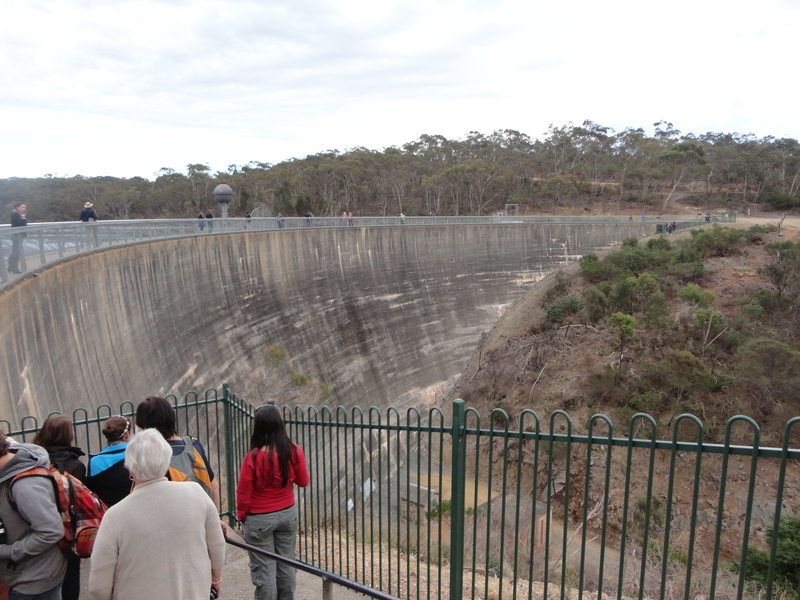 The Whispering Wall is said to be an engineering phenomenon. What looks just like a huge concrete dam in the middle of the Barossa Reservoir is in fact an unusual masterpiece known for its parabola effect. At first glance I didn’t quite get it, but my guide urged a few of us down the small steps at the start of one end to begin whispering. I hesitated to be the one to go first, but it had to be done. “Hello…” I said into the wall, feeling a bit silly. There were a handful of tourists standing only a few feet above me making their way to the other side so I had assumed I was just overhearing them speaking. “Where are you from?” I heard back. Giggle, giggle, its working! “Um…the States.” “I’m from Victoria,” he replied. “Just visiting for the weekend with my family.” And that was that. I was a bit shy about the whole thing so told him it was great to chat and let some of the others have a go. 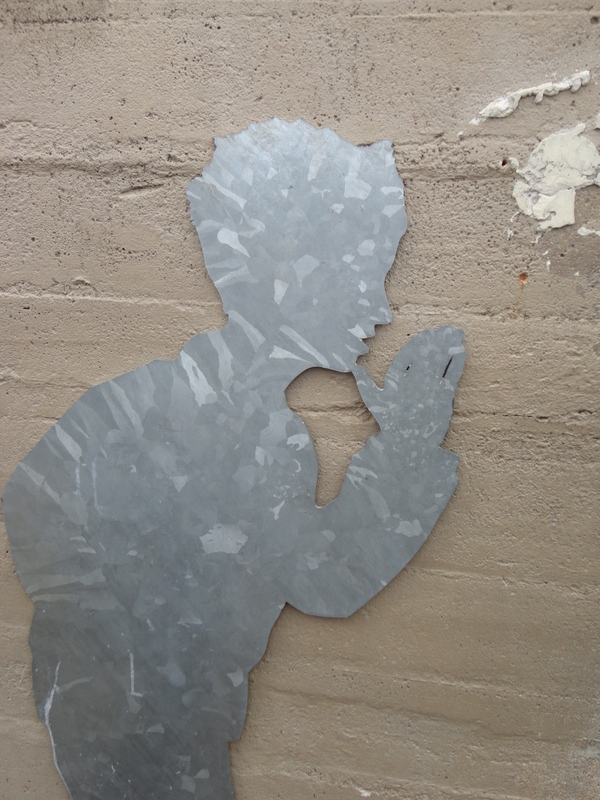 I left feeling a bit dumbfounded that I had just had a conversation with someone over 100 meters away. It was just after 11 am as we pulled into the first winery of the day, world famous Jacob’s Creek. Before the tasting we went on a mini-tour at the Jacob’s Creek Visitor’s Centre to learn a bit about the history of the vineyard. The grounds were gorgeous, and perfectly manicured, a big part being the eco friendliness of solar panels, recycled timber beams, and over 4500 native Australian flora. Yeah, and the wine was pretty tasty too but I thought I’d save my pennies for a less mainstream vineyard. 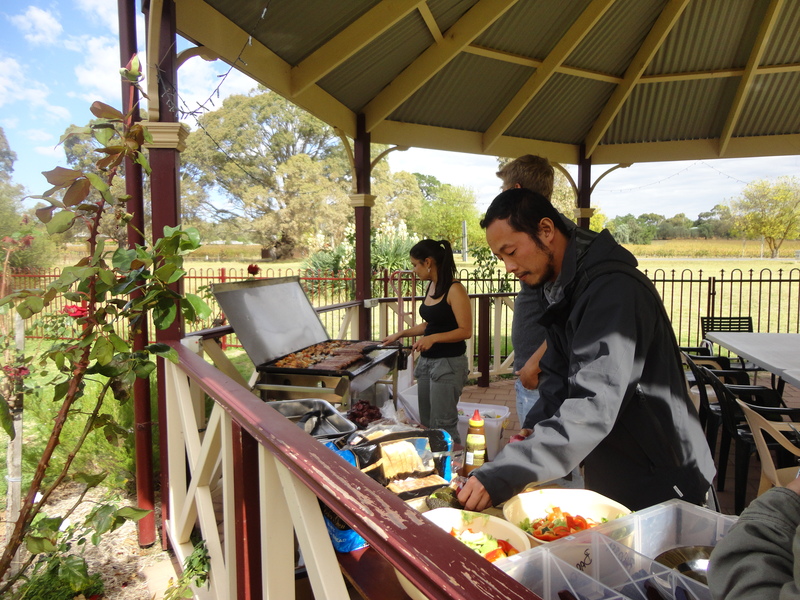 Next we pulled into Kies, a cute family run vineyard to enjoy another tasting and relaxed bbq lunch. I was smitten by the Klauber Block Shiraz and purchased a bottle for safe keeping. 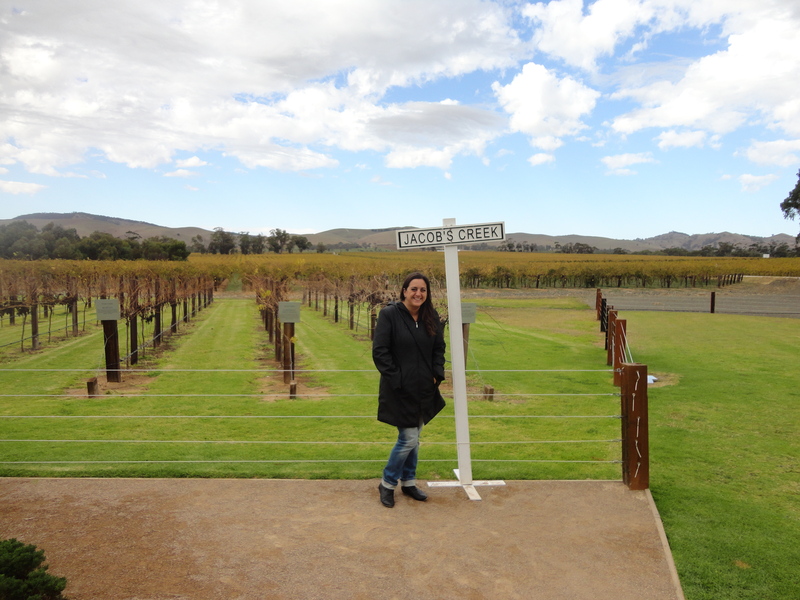 What I find most interesting as I travel all over Australia and New Zealand, often tasting wines, is that Shiraz is not something I appreciate much in the States, however have acquired a small fondness as I experiment more and more its regions of origin. Line up, line up. Sausages, steaks, veggies, salad, and mmm mmm mmm kangaroo. We enjoyed a lovely casual lunch outside under the gazebo amongst roses and lush landscape. Seeing I was by myself, it was great to catch up with a backpacker from France, another from Sweden, and a cute pair of older women – best friends in their 70s – who make it a priority to travel once a year together wherever $2000 will get them. Hint, hint friends…let’s make this our new annual get together plan from now until we’re 70! I thought it was so great. At the chateau of Richmond Grove we toured the cellars and learnt a bit about barreling. I wasn’t overly enthusiastic about any particular wines so enjoyed the tasting but didn’t make any purchases. Many of the grape varieties grown here are shared with Jacob’s Creek. I learnt that 2011 was not a good year, but 2002 and 2008 were, and 2012 is looking promising so take note. 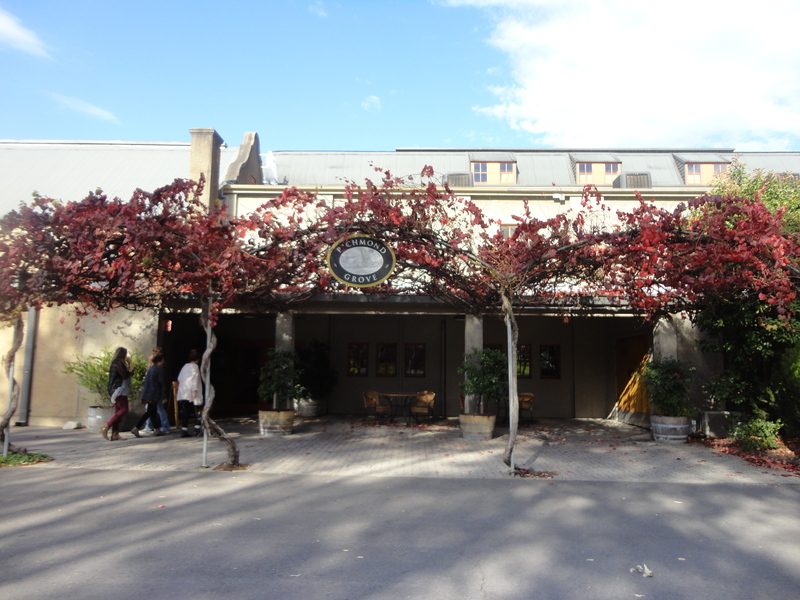 Our last visit was to Seppeltsfields where I tried for the first time a sparkling Shiraz. Quite an interesting sensation in the mouth as sparkling or bubbly reds aren’t something I’ve come across before however are meant to be the perfect complement to bacon and eggs breaky. Seppeltsfields is most famously known for its fortified wines like tawny and port and was a great place to have a wander amongst the vintage bottles secured in glass cabinets, some over 100 years old. After departing it was a straight shot back to the city. We said our goodbyes as the guide dropped each guest to the respective hotel or hostel. I was happy to check comfortably in to the Stamford Plaza before beginning my week long work trip out to the local universities. The first time I discovered the acoustic effect of the ceiling of the Oyster Bar in Grand Central I was shocked, you could literally whisper to someone on the other side of the terminal, amazing! And Red bubblies are a pleasant surprise aren’t they? I’ll have to try a bubbly red for brunch sometime instead if the traditional mimosa. Thanks for the tip! Sounds like an great trip and I love the rocking horse pic!